Minimum order value: £95 net. For a competitive quote on larger quantities please contact The Sales Office. 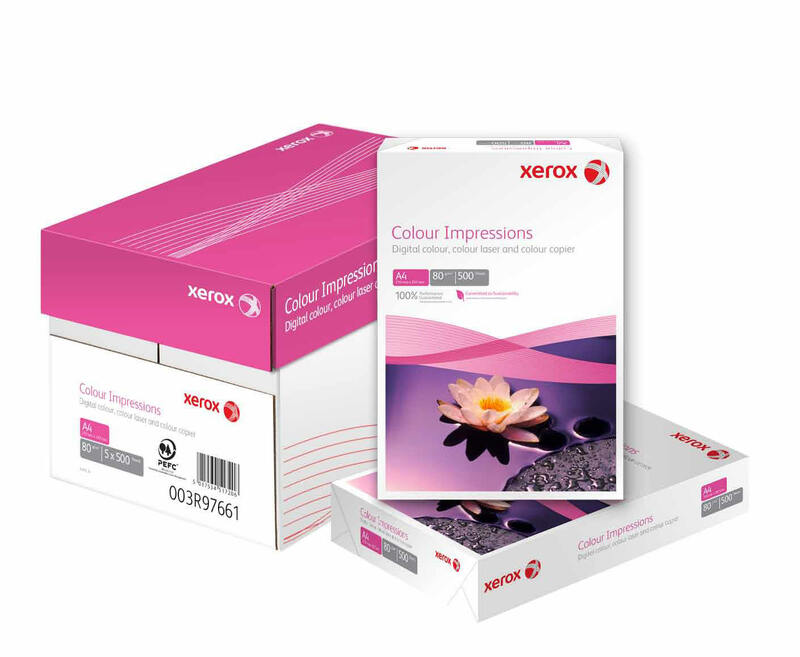 Xerox Colour Impressions is a premium, uncoated paper designed to give excellent results with digital colour printers. With its very smooth surface and _bright white hue, Xerox Colour Impressions lends a professional finish to colour documents. XEROX COLOUR IMPRESSIONS UNCOATED SRA3 Short gr. For competitive prices on larger quantities please contact The Sales Office.